We had an amazing final block today after a long day of competition. We saw some really close matches in the morning as we could feel that many athletes were stressed. Honestly, who wouldn't, when you have to compete in Paris, in front of so many people? I fought several times at the Paris tournament. It was never a good time for me as it was too early in the season but I won the European title and a world medal in Paris. This is always a special moment. Coming back to the analysis of the day, I must say that the refereeing level was very good and the sign of that is that as supervisors, we didn't have much to do. It was very consistent throughout the day. Of course, we have the best referees in the world here in Paris and it helps a lot when the matches are perfectly controlled and when the referees let the athletes express themselves. I am really pleased with what I saw today. Since the morning and especially in the final block we have seen beautiful ippons. That combined with the drama generated by the place offers the best show. Let's be honest, Paris is the most amazing venue for judo. Having such an educated crowd is an advantage for sure. They know and understand what they see and being in the stadium make you feel every second of the matches. You can feel the vibrations. The Paris tournament is the perfect showroom to show how judo should be and how it could be presented. It is a model. Once again, and we've experienced that for a while already, the athletes are looking for ippon, which is the ultimate goal of our sport. Talking about the last final, the most exciting one, we had a perfect example of two outstanding champions, who were here to win of course, but also to score. The rhythm of the whole final and maybe even more during the golden score was impressive. At the end of a competition day like that, being able to still impose such a pace is fantastic. Agbegnenou and Trstenjak are clearly the two leaders of the category, which is even more accurate for the French. We have seen over the past years, how the Slovenian took the lead to win the Olympic title, but step by step, we have also seen how the French came back to impose her power and her capacity to throw in the most beautiful way. In that competitive atmosphere, Trstenjak is a true champion. 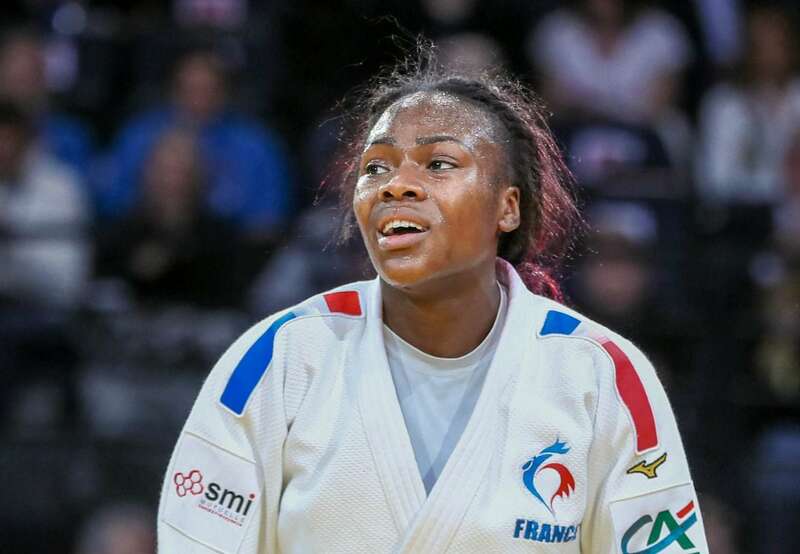 Today, even if she probably knows that Agbegnenou is better than her right now, she went on the mat, with the will to win and she really pushed her opponent, in a perfect Slovenian style, to the limits. When you have two champions like that on the tatami, we can only enjoy it. Agbegnenou is the leader of the category, no doubt about it. Beside that last final that perfectly concluded the day, the big surprise came from the defeat of Abe Hifumi (JPN) in the first round. What a shock. But that also shows that nothing can be taken for granted. Abe is a great judoka, an amazing one, but today, he found better than him. This is interesting for the months to come. Last but not least, in Abe's category, I was impressed by Denis VIERU (MDA), who won the gold. No one would have bet on him in the morning. But at the end of the day, he demonstrated that he was the strong man of the day. His technical abilities were fantastic. As a tai-otoshi specialist myself, his last technique in the final was a classic throw. You know, tai-otoshi is a beautiful technique, but it's one of the most difficult to execute. If your arm stays behind, you expose yourself to a counterattack and that happens very often. When the Kuzushi (putting out of balance) and the tsurite (the lifting hand) are not coordinated, when the hand is late, you fail. But in the final VIERU executed the perfect tai-otoshi. I was really happy. Tomorrow we'll have the second day of judo in Paris and I'm really looking forward to it.